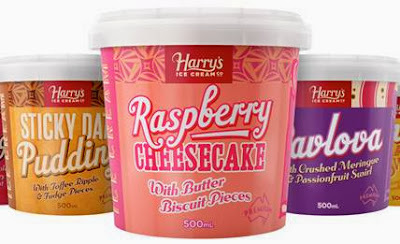 Launching their first flavour last year - Passionfruit Pavlova, Award Winning ice-cream maker Harry’s Ice Cream now offers three delicious iconic Aussie flavours with the recent introduction of two new flavours; Sticky Date Pudding and Raspberry Cheesecake. Made in Brunswick, Victoria, the 500ml tubs are made using premium ingredients. 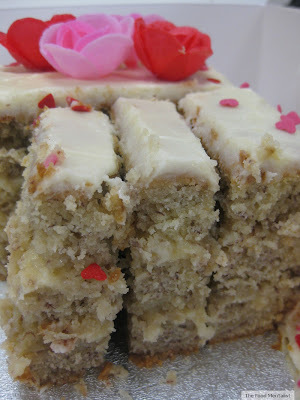 The Raspberry Cheesecake has a light lemon tanginess with delicious butter biscuit pieces sprinkled throughout. 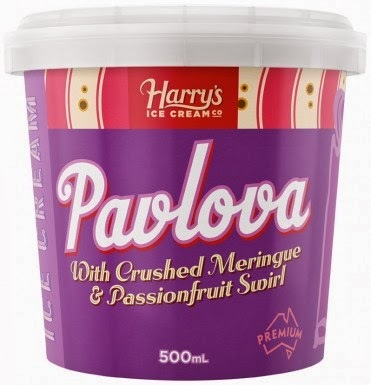 Existing favourite; Harry’s Pavlova is a vanilla ice cream with a tart passionfruit ripple and crushed meringue pieces. Those who love Pavlova will scramble over this one - it's combination of flavours, texture and sweetness are spot on. The Sticky Date Pudding had sold out at my local supermarket, but it promises a deep rich toffee flavour complete with toffee ripples and fudge pieces. 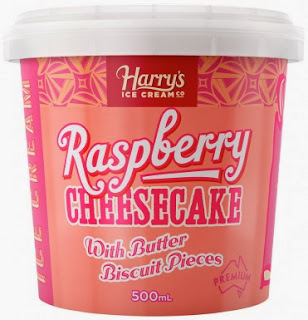 Following the range’s launch into freezer aisles last year, Founder and Chief Ice Cream Maker Lawrence Harris, said the two new flavours were created in response to requests from their passionate fan base. “As a local Australian business we listen closely to the suggestions from our customers. They spoke and we have spent months perfecting their most requested flavours”, he said. “We’re thrilled with how they’ve churned out”, Lawrence continues. 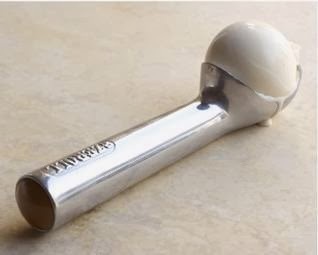 “The ice cream has been made with milk from Aussie cows and lovingly produced in our Brunswick production facility”, said Lawrence. All three flavours are available are available at Woolworths and select IGA stores throughout Australia with a RRP of $6.99. All you have to do is comment below and tell us which of Harry's Ice Cream flavours appeals to you most and why. Please include your current email address so we can contact you if you are the lucky winner. The Competition is open to all Australian residents and will close on Saturday 16 November at midnight (EST). I love the packaging of their ice creams! So retro and I love that they make pavlova ice cream too. i love sticky date pudding so i may have to pick that although pavlova also sounds real good! 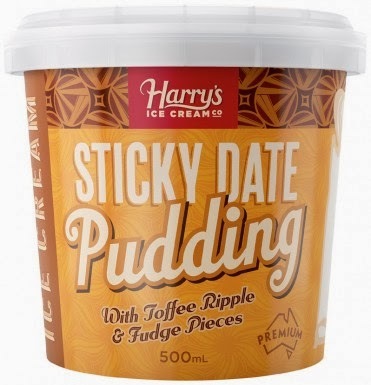 Stickydate pudding.Interestingly, I've never had the dessert, but I'm intrigued by the promise of toffee and fudge. Pavlova!! Reminds me of my Nanna who always makes a good pav for special occasions especially Christmas time when we were younger!! Whipped cream and peppermint crisp on top was the way I liked it!! But regardless any toppings on a pav are just divine!! They all sound so apatising though!! Oh I'd love to try the pavlova. I had meringue flavoured gelati in Italy and haven't been able to find anything similar since. How wonderful to have it in my local shop, and just in time for summer! Sticky Date Pudding - because our favourite dessert that we share when we got out can now be the ice cream we have at home. Definitely pavlova! Being pregnant I've not been able to eat my favourite classic pavlova cake due to its semi cooked eggs, and being in my final trimester with a huge craving for ice-cream, I can't think of anything better than trying Harry's pavlova ice-cream.